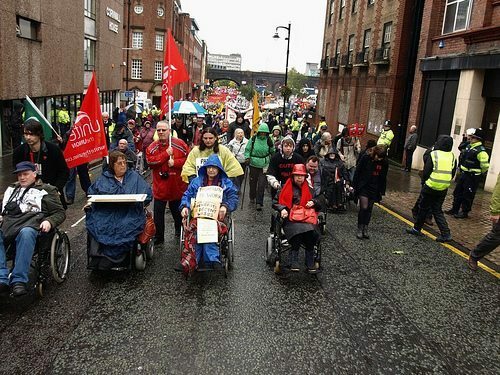 First ever protest at Tory conference Oct 2010 under the name of Disabled Peoples’ Protest, before the name Disabled People against Cuts (DPAC) was chosen. The British Library began archiving the DPAC site from 2011 so know that all on this site will stand as an historical testament of this governments actions towards disabled people and what they are doing to the lives of millions-we will not give up fighting! Posted by admin at 23:52	Tagged with: Happy Birthday DPAC!